What is Google Penguin and how does it affect your business? These are great questions to ask, especially if you’re interested in learning how your website could and should be attracting more sales to your business. Penguin is the name of a Google algorithm update. An algorithm is a set of instructions to be performed, in this case, by your computer whenever we use Google.com. These guidelines help our computers calculate, process data and provide automated reasoning, which together gives us, the users, specific online experiences. Enter Big Brother. Luckily for some, Google believes these experiences should contain relevant content to whatever we’re searching for. So whether we want to learn astronomy or find the nearest ice cream store, Google wants to make sure we’re receiving the best answers to our questions when we search on Google.com. 2. Creating a useful, information-rich site with well-written pages that clearly and accurately describe your content. Even amidst the warning, increasingly throughout the past decade as Internet advertising has become more popular, some businesses started to alter their search ranking by manipulating content. The market demand for these services even spawned SEO firms, created purposely to stretch Google’s Golden Rules. In the most extreme cases of Negative SEO, these firms grouped clients together as part of a blogging network. For example, one client would pay the firm to produce automatically generated content (lots of blogs), which included links to “partnering” websites and products, whether relevant to the business or not. Eventually under the weight of so many bad backlinks, the website became overrun with annoying popups and sneaky redirects to multiple overseas websites! What’s more, the SEO firm also used links to the client’s website in blogs for other businesses. You should have seen the look on my client’s face when he found out his company was endorsing an erectile dysfunction medicine in the Ukraine. Funny, but not funny, right? Then in April 2012 Google said NO MORE, releasing the first Penguin algorithm. With the sole purpose of cracking down on websites in violation of Google’s Webmaster Guidelines, Penguin was specifically designed to catch businesses spamming search results by purchasing links, or acquiring link networks to boost Google rankings. 2. Don't deceive your users. 3. Avoid tricks intended to improve search engine rankings. A good rule of thumb is whether you'd feel comfortable explaining what you've done to a website that competes with you, or to a Google employee. Another useful test is to ask, "Does this help my users? Would I do this if search engines didn't exist?" The websites in violation experienced everything from a decrease in search rankings to a complete blacklist from Google.com search results. Google considered this a slap on the hand to those who violated their rules, but hinted in online forums that second chances are possible for those who clean up their act, and remove these bad links. Savvy business owners faced their mishaps head on, using disavowing links to remove the spam and even revamping online marketing strategies in order for their websites to once again rank on Google.com. Sure enough, Google started rolling out updates every six months or so in a continued effort to shut violators down. As an indirect effect, some of those in previous violation who made the necessary changes to their websites were rewarded. Experts say there’s no way for certain to log into Google Webmaster Central and see if your website was hit by Penguin, but chances are if one day your website was on the first page of Google.com and the next day you can’t find it...you’ve been Iced Out by Penguin (there’s a video game there somewhere). 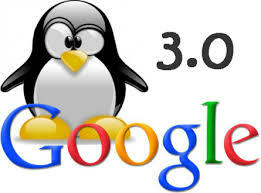 Kidding aside, here’s a list of confirmed Google Penguin Updates. Check your website metrics to see if you experienced an increase or decrease in your website traffic the week following each Penguin refresh. So what happens if you’ve been flagged by Google and you don’t feel your business is in violation of Google’s Webmaster Guidelines? Google is quick to note these algorithms are automated, and with that, Google isn’t making exceptions at this time. This means there’s no elf at Google with a naughty or nice stamp, and filing a Reconsideration Request in Google Webmaster Central will not help you. That said, whether you bought bad backlinks or not, if you’re site decreased in search rankings it’s ultimately because Google’s algorithm collected enough data to support that your website isn’t delivering what people are searching for. So you can either prepare your website to perform better for when Google rolls out the next Penguin update, or you can complain on their webmaster forum about how you’ve been wronged by Google. Good luck with that. How do you recover from Penguin, and/or make sure your website is following Google’s Golden Rules? Check Google Webmaster Central to see if you’ve received emails from Google about your spam activity, removing anything Google has flagged as spam on your site ASAP. Even if no flags appear in your account, be honest with yourself and remove whatever you can from your site that may be in violation of Google’s Webmaster Guidelines. In some cases, performing a complete Website Redesign may be the best approach, allowing you to start with a clean slate. Integrity looks great on people. Bottom line, Google says if you want your website to appear on the first page of Google.com when people search for the topics most relevant to your business you will do one of two things…. 2. Pay us (Google) for Google Adwords. And that’s the TRUE STORY. Inspired by life, and shared with purpose. Thanks for reading friends. Until next time, enjoy the day! PeacockMedia.com | Multimedia Storytellers #SharingStories that attract attention + grow brands.